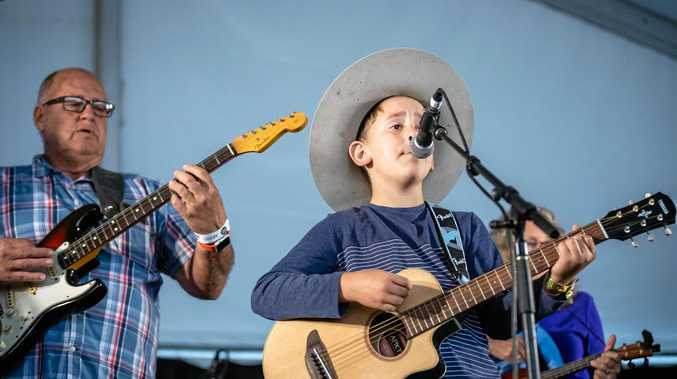 WHEN Gayndah's Noah Coulson stepped on stage at the 2018 Gympie Muster he was overcome with nerves, but he mustered the courage to deliver fantastic entertainment during his first ever major performance. "I got really nervous as soon as I stepped on stage but once we started going it was really fun," Mr Coulson said. "I already want to do it again." Alongside a band, the nine-year-old St Joseph's Catholic Primary School student played a cover of Pumped Up Kicks by Foster the People and Around and Around by The Rolling Stones and Chuck Berry. He played the harmonica and guitar, and sang, and Mr Coulson said he was enjoyed the response he received from a lively crowd. "After the first performance the audience was saying they wanted me to play more, and at my second performance there was a lot of clapping," he said. 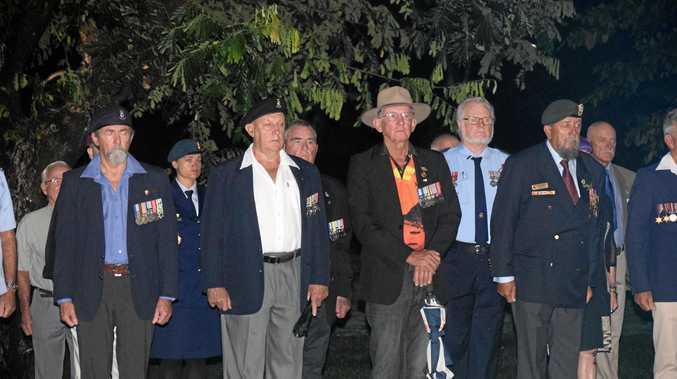 Mr Couslon said he also appreciated the support he felt from the Gayndah community in going to the Muster and having the courage to get on stage. His grandfather, Dr Geoff Walden, has been teaching music for more than 50 years and coached him in the lead up to his performances. "I've been going to the Muster for 30 years and I've never had my own family there so it was good to be able to introduce someone from my own family," Dr Walden said. "Although he has a long way to go his confidence on stage was really good and he did well. "The young artists are supported by the same sound technicians and equipment that the big-name artists get, pop doesn't support young artists like country music does." And Dr Walden is prepared to continually motivate his grandson, saying if he is willing to work hard then he will get somewhere. "Grandpa has a Nintendo Switch that I really like to play so he said for every thirty minutes of practise on my guitar, that means 30 minutes on the Switch," Mr Coulson said. Dr Walden performed at the Muster himself, playing the bass guitar and singing alongside a group from the Australian Institute of Country Music. The gradfather-grandson duo are already looking ahead to the future and Dr Walden said he hopes to get more music and mentorship happening in the North Burnett. "Noah needs to know ten songs off by heart and then we will look into a busking license," Dr Walden said. "I would like to get some things happening, my interest is in young people developing bands." One of Mr Coulson's classmates will begin practising guitar with Mr Coulson and Dr Walden on Friday afternoons.